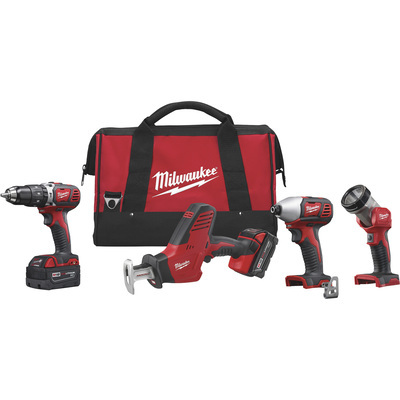 Item Weight: 21.32 lb(s) Manufacturer: Milwaukee MPN: Estimated Delivery Time: 3 - 9 Business Days (See shipping information below) Shipping Policy: Delivery time will vary from 3 - 9 business days (M-F) depending on the delivery location. Please note that we do not ship items on weekends or holidays. Warranty: 5 year limited warranty. You can pay us securely through PayPal. ON U.S. PURCHASES, Northern currently collects sales tax on purchases shipped to all states and territories except: Alaska, American Samoa, Arizona, California, District of Columbia, Delaware, Guam, Idaho, Montana, New Hampshire, New Mexico, New York, North Marianas Islands, Oregon, Tennessee, Virgin Islands, and West Virginia. This product will be shipped by GROUND. GROUND Shipping: Ground Shipped items must be sent to a physical address and cannot be sent to PO boxes. If a PO box address is submitted without a physical address it may delay your order. We cannot ship to APO/FPO boxes. The estimated delivery time for this product is 3 - 9 Business Days. Please note that we do not ship items on weekends or holidays. More information on shipping and handling times can be found on our Store Policies Page. We want you to be satisfied with your purchase; please notify us by email if you have any concerns. Before you send an email message, please check our Help Section. We may already have an answer to your question! We are available to answer your email questions Monday through Friday from 8am - 3pm CST, excluding holidays. If your email is sent on a weekend, holiday or after business hours, we will respond to you on the following business day. Returns may be accepted on most items within 30 days of receipt of the item. All returns require authorization from us. Some returns are charged a 15% restocking fee. Please click the Shipping and Payments tab on this item for specific return information and full details. Warranty information and contact details can be found on our Store Policies Page. We are working hard to ensure that the information provided on the eBay product advertisements is accurate and up-to-date. We reserve the right to correct ad errors and/or omissions. Pricing and availability is subject to change without notice. We are available to answer your email questions Monday through Friday from 8 - 3 CST, excluding holidays. If your email is sent on a weekend, holiday or after business hours, we will respond to you on the following business day.